Melbourne is the top cultural destination in Australia, a report released on Wednesday has found. The Global Cultural Destination report, compiled by the Boston Consulting Group (BCG), found that Melbourne was third in the Asia-Pacific region and 12th in the world for arts and culture tourism. Tokyo and Mumbai were the only cities in the region to fare better than Melbourne which has a cultural tourism industry worth more than 800 million U.S. dollars every year. The report found that tourists visiting Melbourne for cultural reasons stayed in the city 25 percent longer than the average tourist and spent 20 percent more money. China was the biggest, and fastest growing, international source of cultural tourism to Melbourne while regional Victoria and New South Wales (NSW) were the major local sources. BCG projected that cultural tourism to Melbourne from China alone could be worth between 750 million and 1.5 billion U.S. dollars annually by 2025. But the report warned that Melbourne must increase its focus on cultural infrastructure if it wants to maintain its standing as countries around the world placed a higher priority on the arts. "We're Australia's cultural capital and have one of the best art scenes in the world - this work proves it yet again," Victoria's Minister for Tourism and Major Events John Eren said. "Our creative and cultural offerings are powerful drawcards for tourists, and we're investing to attract even more visitors to Victoria and create more jobs in the sector over the next decade." 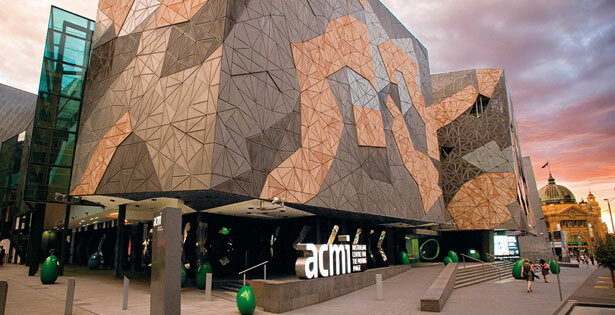 A mix of historical and modern contemporary venues contribute to Melbourne's strong ranking, the report found, with visitors drawn a calendar which boasts events the whole year-round.